In this world, we often find inspirations that draw out our talent in so many forms. 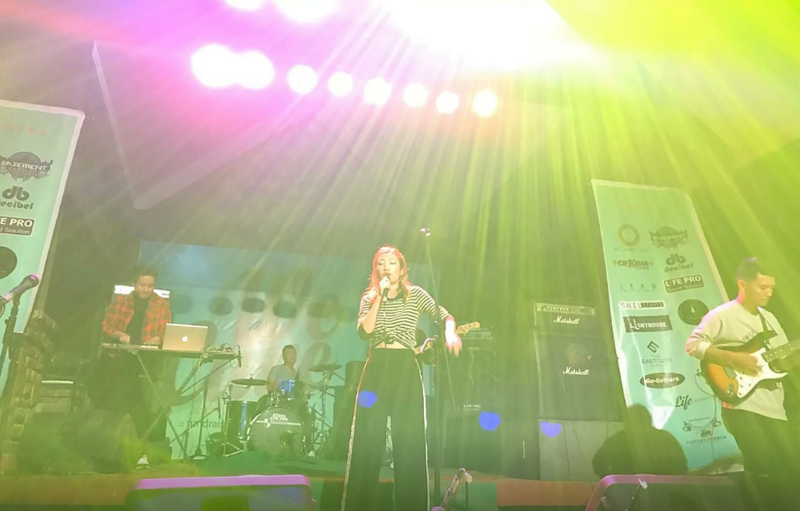 Music is one of them, and for the band members of MET3T, making music through the inspirations of Naga folk songs and the current EDM genre, they wish to empower the people through their roots. Today, we are happy to introduce to you the band MET3T as they talk to us about how they formed the band and what has inspired them to create their unique genre of music. 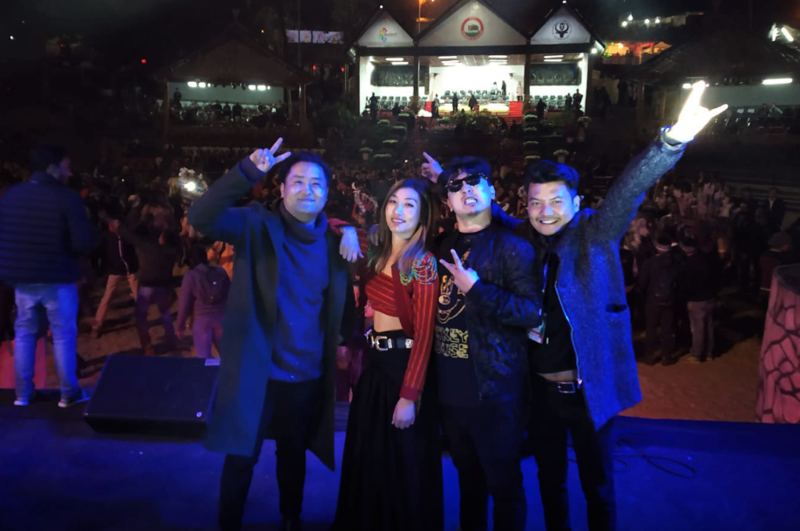 Let’s find out everything about how the folktronic band, MET3T from Nagaland got together and how they had expanded their genre by infusing EDM and Folk. Hello Guys!! Please introduce yourself. Metet Jamir : I’m the vocalist of our band, MET3T. I have performed at Military Tattoo Festival Edinburgh, Scotland, former Heritage In-house Band. Temjen : The guitarist, former Heritage in-house band guitarist. Akum Aier : The bassist, former bassist of OFF Band/winner of Hornbill International Rock Festival, winner of best bassist at Hornbill International Rock Festival and former Heritage In-house band. Vitz Zhimo : Former Polar lights drummer. He is the programmer/producer of our band, METET. He has collaborated with various national and international djs. We are a Kohima (Nagaland) based Band. Our interest in music developed at a young age. In fact, we were all involved with different bands while attending our schools and colleges. Introduce us to your band, MET3T. What got you guys started? MET3T was an EDM band formed in 2016 by Vocalist Metet Jamir, guitarist Temjen, Programmer Sunep Oz and bassist Jungshi. We mostly did covers back then. But later, Sunep Oz and Jungshi left the band to pursue their degree in Music. 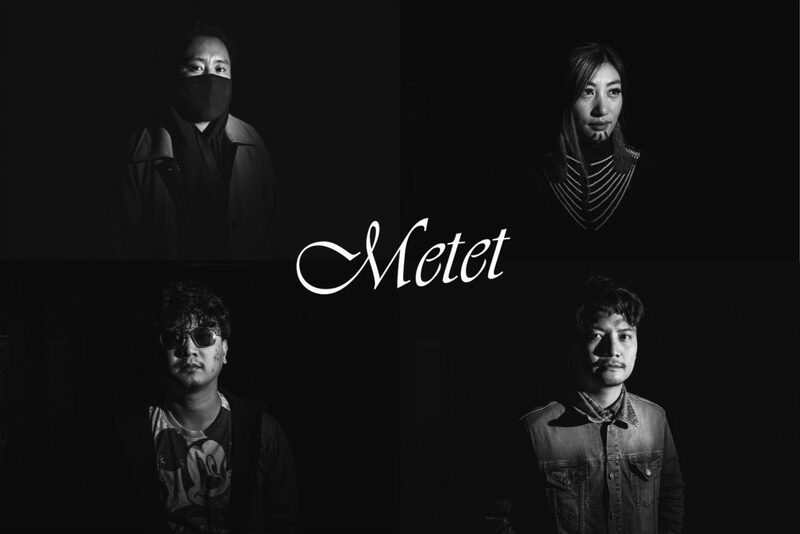 So, on October 2018, founding member vocalist Metet Jamir and guitarist Temjen added bassist Akum Aier and programmer/ producer Vitz Zhimo to the group and decided to expand our genre by infusing EDM and Folk. Now MET3T is the first ever FOLKTRONICA band in Nagaland. MET3T at the EDM concert night of the Hornbill Festival, 2018 Kisama, Nagaland. MET3T at the EDM concert night of the Hornbill Festival, 2018 Nagaland. How has your upbringing influenced your work or working style? And where do you guys draw inspirations from? Since we were all in different band, like wise our music varied to say the least, referencing everything from jazz to hip hop to soul to rock. This kind of music influenced us a lot and has had a lot of impact to create our sound. With this kind of musical influence, we managed to fuse it altogether and create a uniform trademark style, marked by gripping beat, bright sound. We, Nagas are blessed with rich culture. We take inspirations from all the different Naga tribes- everything from folk stories, to the chants, to the style of singing and we infuse it. Are you guys a full time musicians? If not, how do you manage to indulge in your hobby? Metet Jamir : I’m a government teacher and apart from Vitz Zhimo who is a full time music producer, Temjen is working at Medical department and Akum Aier is a music teacher. Since our music scene in Nagaland is not too big yet, we are managing to indulge by jamming for 3-4 hours after work. Is there a particular work that you guys are extremely happy or proud of? Metet Jamir : Yes, we definitely do. Our first gig at Hornbill Festival Opening Ceremony, 2018. It was the first time for us performing as a band after our old members left and it was also our first time performing our originals and introducing folktronica genre to our people. MET3T performing at the Hornbill Festival 2018, Kisama, Nagaland. Tell us about your latest song collections? We actually have five songs which is yet to released. And our songs are mostly about Jina and Etiben, which is a legendary love story in Ao history, and also songs sung by young boys and girls in morungs/Aruju. We wish our music to be empowering for our local people. We want them to listen to the songs and feel fierce because we need that. We want to make “OUR” People feel special about our roots! Follow Metet Jamir on Instagram for the band, MET3T’s updates and stay tuned for the upcoming new releases of MET3T!! Previous Post“I Honestly Feel That Anything Close To Me Inspires Me To Draw, You Don’t Have To Look Far” – Keneisenuo, A Visual Artist From Nagaland Talks To R&L About Her Work And Inspirations. 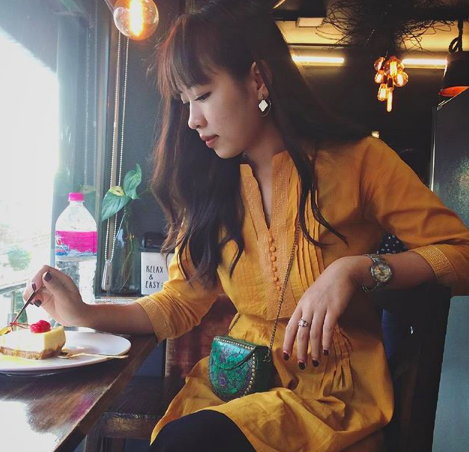 Next Post“Exploring New Places Teaches Us New Things While Also Making Us Realise How Special Our Own Home and Culture Is” – Dental Student And Traveller Thlamuanpuii From Mizoram Shares her Travel Stories.